The BOE's new home-loan restrictions follow rules introduced in April after the Financial Conduct Authority's Mortgage Market Review. The rules, which don't apply to buy-to-let mortgages, require borrowers to prove they can afford to make payments even if interest rates rise. One in three of the 50 economists surveyed by Bloomberg predict an increase this year from the record-low 0.5% benchmark rate the BOE has maintained since March 2009. Aldermore Bank plc, which provided Mr Kordestani with his last mortgage, offers a two-year fixed rate buy-to-let loan of 4.08% for 70% of a home's value, according to the lender's website. The Financial Conduct Authority said it will consider buy-to-let when it reviews the impact of its latest rule changes. The BOE, in its first set of stress tests, will assess the country's eight biggest lenders on how they would cope if interest rates rose to 4% and house prices dropped by 35%. "That is an approach across the housing market, which will allow us to test buy-to-let lending as well as the owner-occupier market," Andrew Bailey, BOE deputy governor for prudential regulation, said at a June 26 press conference. "It's not that we're going to ignore the buy-to-let market in terms of the supervisory oversight and observation." Mr Carney told lawmakers on Parliament's Treasury Committee in London on Tuesday that the central bank is closely watching the buy-to-let market. "Current underwriting standards are in line with historical patterns and didn't warrant a response at this stage." 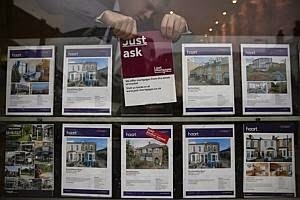 In London, buy-to-let investors took out more than GBP750 million of mortgages during the first quarter, which had more than 10 times the impact on prices compared with the government's Help-to-Buy lending assistance program, according to a May report by Morgan Stanley analysts including Huw Van Steenis. Almost half of the new homes bought in the city last year were buy-to-let, according to asset manager London Central Portfolio Ltd.
Home values are rising faster than rents, That pushed down yields, which is rental income as a proportion of the purchase price, to 6.3% in the second quarter from 6.4% in the previous three months, Mortgages for Business said in July. The small-landlord market could climb further from April 2015 when changes to government policy will give pensioners control over how they spend their retirement savings. Currently they must invest in an annuity - an annual income from a life insurer. The higher property prices/ lower rental yields due to the increasing number of "buy-to-let" in the UK is of concern not only to local landlords but even more so for overseas investors, which typically buy for rental purposes. Although the "rent rather than buy" culture has traditionally been strong amongst UK home-dwellers, the deluge of new homes that are being put onto the market will continue to put a damper on rental prospects and yields. This is something that potential investors into UK properties should take into consideration of. No Comment to " UK buy-to-let investors warned of mayhem (Part 2) "